This month in Kindergarten we celebrated the books by Eric Carle. He has so many fun books for kids with amazing illustrations. At home, my boys LOVE Eric Carle. 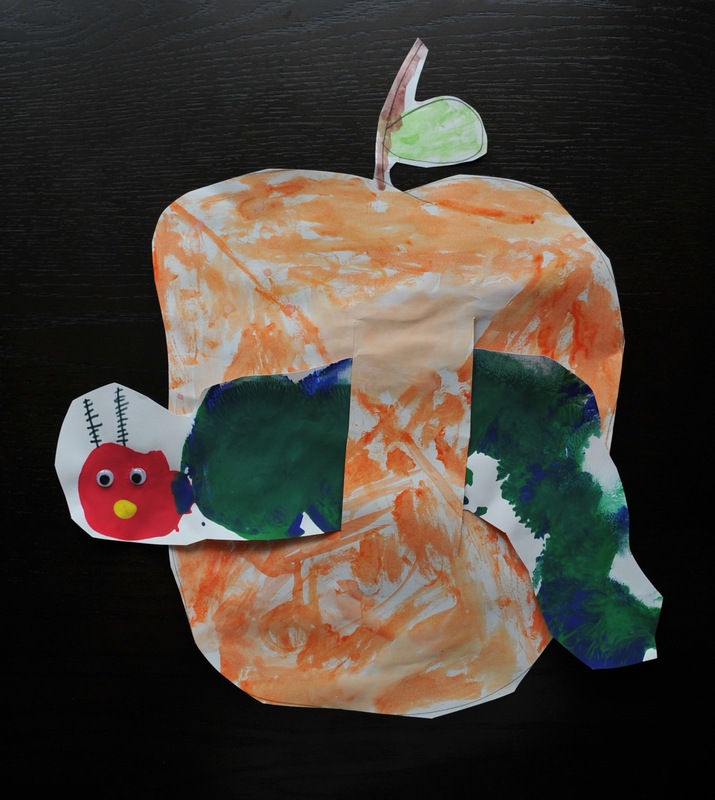 Shaeffer has actually had an Eric Carle birthday party a few years back…. One of their favorite stories is “The Very Hungry Caterpillar”. Here is a project to go along with the book… It was relatively easy and I think they turned out so cute! On a small plate poor a little bit of green tempera paint. On a second plate pour a little bit of red tempera paint. Bow up the balloons to about the size of a grapefruit. Use the balloons as your “paint brush” and dip it into the paint. We used green for the body and red for the head to resemble the caterpillar in the story. Allow your caterpillar to dry and then add google eyes, mouth etc.. with either paint or markers. 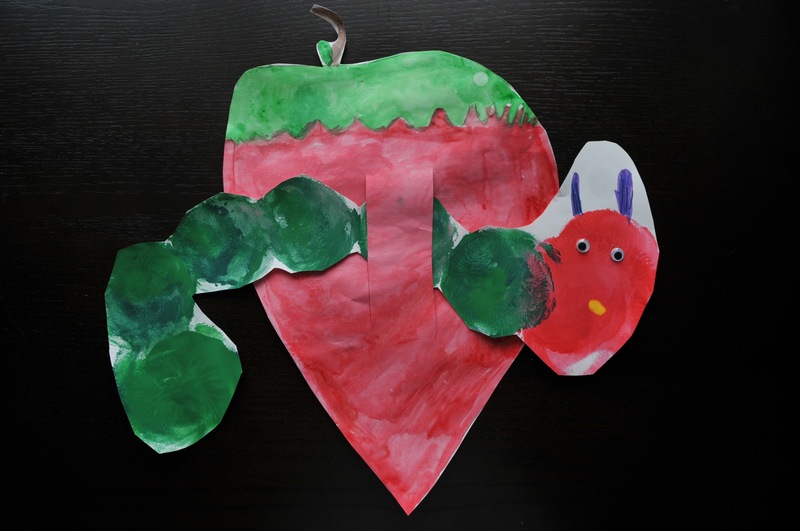 While your caterpillar is drying or on a separate day, draw some fruit that the caterpillar might enjoy eating. Cut out your fruit and paint it using water paints! 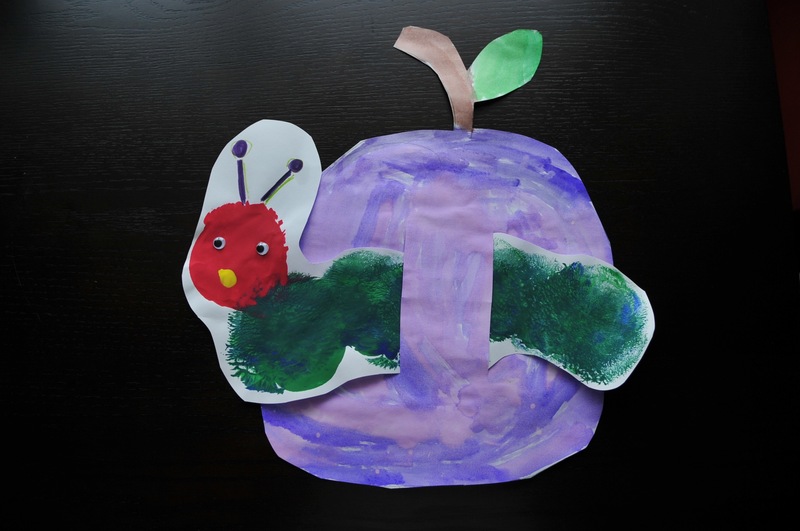 Once both projects are dry, cut out your caterpillar and either tape it to the fruit or add two slits (as seen) and weave it through the fruit… I think this one is framable, I just love the colors! These three were made courtesy of three friends from Kindergarten. I posted them because I love how different they are! Good Job Friends!